I painted a portrait last weekend and it wasn’t very good. I needed to practice. A friend of mine tipped me about an app for the iPhone called Sktchy. 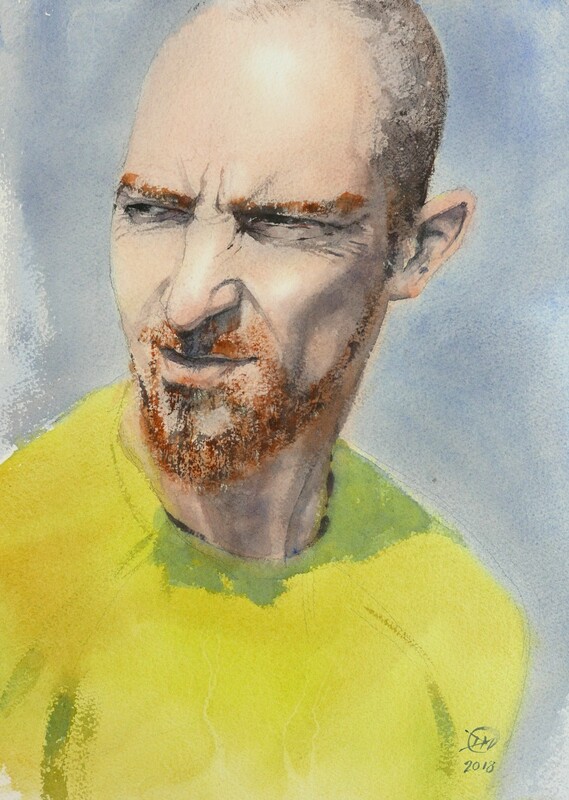 People upload there selfie portraits and artists paint them if they find them interesting. It’s a great copyright free resource for artists. I used the app for the first time yesterday. I have no idea who the dude is. I don´t know him, but I think it´s very good, not as loose as landscapes but very good. I agree, the portrait should be more loose. I’m not used to faces and it shows. Practice, practice, practice.